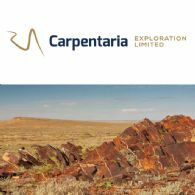 In a major advance for Broken Hill&apos;s next new mine, emerging iron producer Carpentaria Resources Limited (ASX:CAP) announced today an agreement with Mitsui & Co., Ltd. (OTCMKTS:MITSY) to drive development of its flagship Hawsons Iron Project. 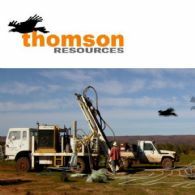 Thomson Resources Ltd (ASX:TMZ) provides the Company&apos;s exploration update. Pacific American Coal Limited (ASX:PAK), identified a 257 million tonne JORC resource at its flagship Elko Coking Coal Project. The Elko Coking Coal Project is located in the Crowsnest Coalfield of the East Kootenay Coal Basin in British Columbia, Canada. Coal from the Elko region has been tested and confirmed to contained coking properties that are sought after by South East Asian steel mills. 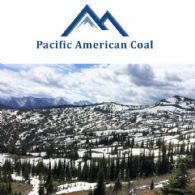 Pacific American Coal Ltd (ASX:PAK) has undergone an internal review of its asset base and confirms the strategic direction of the Company is to focus on the exploration and development of its 100% owned assets. 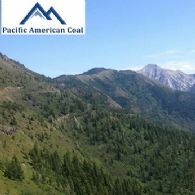 Pacific American Coal Ltd (ASX:PAK) is pleased to provide its Quarterly Activities Report for the three months ended 30th June 2017. 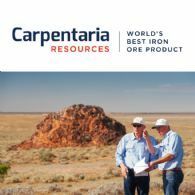 Emerging iron producer Carpentaria Exploration (ASX:CAP) (FRA:78A) announced today a new prefeasibility study for its flagship Hawsons Iron Project joint venture near Broken Hill which has elevated Hawsons to the front of the development queue for high-quality iron ore projects. 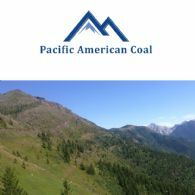 Pacific American Coal Ltd (ASX:PAK) announced that Mr Mark Lochtenberg will step down as Managing Director with effect from July 31. Mr Mark Sykes will continue in his role as Chief Executive Officer.